Is TumorNext-BRCA the right test right for you? If you’re a woman with ovarian epithelial cancer, this is one of two tests we offer to help you and your clinician identify whether one of the latest treatments available could help you. It’s called PARP inhibitor treatment and, used in conjunction with chemotherapy, can destroy cancer cells. The TumorNext-BRCA test is an analysis of two specific genes which can indicate whether your tumour tissue is likely to respond to this treatment – and it can also show if you have a hereditary of risk for other cancers. Ask your clinician how you can get this test – and also ask about our broader 11-gene TumorNext-HRD test. Would PARP inhibitor treatment help you? Most women who have Ovarian cancer have particular gene mutations in their DNA – specifically those in BRCA1 and BRCA2 genes. But that is not always the case, and if you have a different gene mutation, a new therapy that could help you is PARP inhibitor treatment. It involves drugs which block an enzyme used by cancer cells to repair damage caused by chemotherapy to their DNA, but it doesn’t affect healthy cells. In effect, it causes tumour cells to die. This test analyses your BRCA1 and BRCA2 genes – if no mutations are found, this gives you and your clinician a clear indication that targeted PARP inhibitor treatment will help you. However, if you do have BRCA1 and BRCA2 gene mutations, this is an indication that you may have a hereditary risk of developing other cancers – and this knowledge will enable you to plan further screening or monitoring in the future. Your TumorNext-BRCA test analysis can also indicate if other members of your family have significantly increased risk of cancer – so they too can arrange for appropriate monitoring or screening. This test is an analysis of your tumour tissue. You will have had a biopsy before you received your cancer diagnosis, and we can use the sample taken at that time so you do not need an additional medical procedure to take this test. Buy the test. You will receive an email asking you to confirm that you have authorised Everything Genetic Ltd to be given a sample of your tumour tissue. We will contact your pathologist directly and organise the collection of your sample and delivery to the laboratory. Your sample will be analysed and a report will be generated, usually within seven working days of receipt of your sample in the laboratory. Your clinician will receive the analysis showing if there are any mutations in the BRCA1 and BRCA2 genes in your DNA. This will indicate whether or not PARP inhibitor treatment could help you or if mutations have been identified which are associated with the hereditary risk of developing other cancers, so that you and members of your family can take action to protect your health in future. Women with epithelial ovarian cancer need a reliable test to determine if they are eligible for PARP inhibitor treatment. It may also be helpful to know if they are at risk for other cancers. 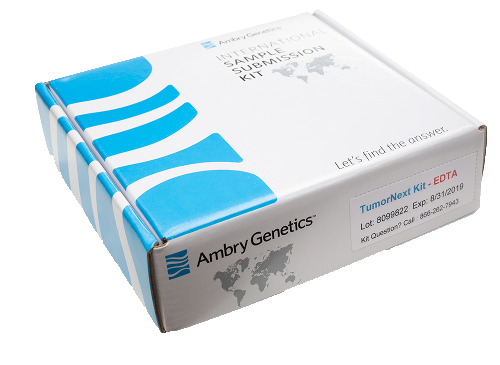 TumorNext-HRD (11-gene) and TumorNext-BRCA (2-gene) look at both tumor and germline so that you can get the complete picture and provide timely targeted treatment to patients at a time when they need it most. Use TumorNext-BRCA or TumorNext-HRD for your ovarian cancer patients to determine who may be eligible for PARP inhibitor treatment or future eligibility. NCCN® recommends BRCA1/2 germline testing for all patients with epithelial ovarian cancer. SGO recommends that all women diagnosed with epithelial ovarian, fallopian tube, and peritoneal cancers should consider genetic testing, even in the absence of a family history of cancer. Paired tumour/germline analysis of BRCA1/BRCA2 plus 9 additional genes* in the homologous recombination repair pathway that are also known to be associated with hereditary cancer, and also includes BRCA1 and RAD51C methylation analysis. Usually within three to four weeks of receipt of your sample in the laboratory.